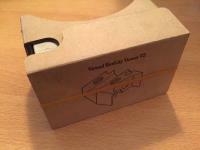 Google Cardboard is a virtual reality (VR) platform developed by Google for use with a head mount for a smartphone. Named for its fold-out cardboard viewer, the platform is intended as a low-cost system to encourage interest and development in VR applications. Users can either build their own viewer from simple, low-cost components using specifications published by Google, or purchase a pre-manufactured one. 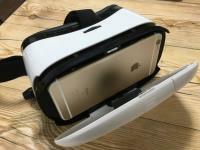 The viewer is used by placing a smartphone into the back of it and viewing through the lenses in the front. As New York Fashion Week got underway, Adam Selman, the designer responsible for Rihanna’s 2014 CFDA Awards naked dress, that put him on every major fashion editor’s radar, took the stage September 10th. But that’s not the only Rihanna buzz making headlines at NYFW today.